According to the latest shopper intelligence from Catalina, center store categories remain strong, with 60 annual trips per shopper per store. 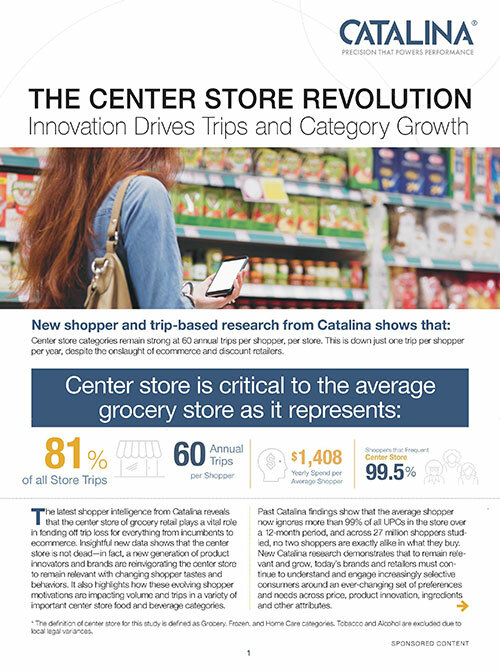 Catalina’s new shopper and trip-based research offers an insightful look at how shopper motivations are impacting volume and trips in important center store categories. Why center store plays a vital role in fending off trip loss. Which center store subcategories and brands are growing the fastest. How you can gain a competitive edge in center store.